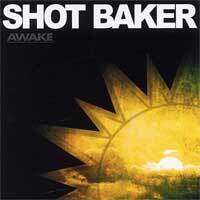 This is the second pressing of Shot Baker's debut full length, Awake. Shot Baker hails from Chicago, IL and plays punk rock with a heavy "Chicago Sound" influence(Naked Raygun, Pegboy) but also at times is reminiscent of Avail & the Bouncing Souls. The band wasn't happy with the way the first version sounded and looked so they went in and re-recorded everything except the drums. They also re-recorded a song called "Echoes of the Dead" (that was supposed to appear on the original release) and removed the 5 songs from their Time to Panic EP, which was their demo...and changed the artwork completely. The band feels the album is complete now and can stand on it's own.